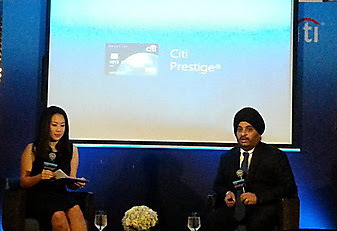 Citibank Thailand today launched the new Citi Prestige card, which leverages on the bank’s unique global footprint and relationships to deliver a world of experiences to cardholders – at home and wherever they travel. Citi Prestige offers unparalleled global benefits including a dedicated Citi Prestige Personal Assistant, available 24/7 to fulfil all lifestyle needs of affluent consumers with local and global expertise and fluent in 20 languages; complimentary green fees at hundreds of renowned golf courses; access to unique experiences and events; complimentary 4th night stays at any hotel in the world and unlimited access to over 700 airport lounges worldwide through the Priority PassTM card. “Today, with the fast-growing travel trends and easy access to real time media, the needs of affluent customers have converged to be more consistent worldwide. 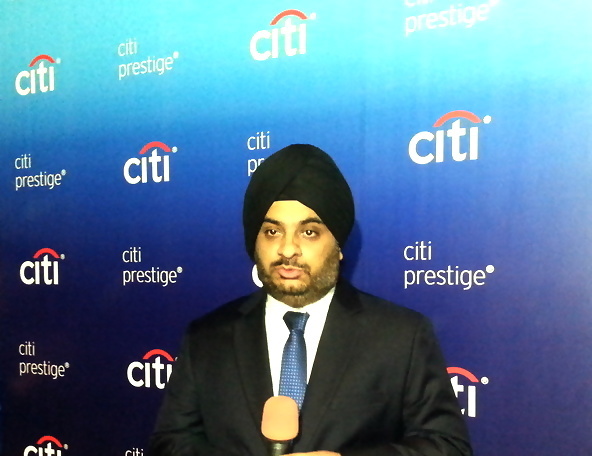 Citi Prestige has been designed together with a global team and adapted for the Thai market. The card offers unrivaled global benefits that customers can enjoy wherever they travel around the world – like 4th night hotel free anywhere in the world and complimentary airport transfers and fast track passes throughout Asia Pacific. At the same time, cardholders can enjoy exclusive local benefits for premium dining and shopping. The Citi Prestige Credit Card provides consistent features, benefits, recognition and coverage across the globe for the affluent in Thailand. With Thailand entering the AEC around the end of this year, this is the prime time to launch this Card,” explains Mr Sandeep Batra, Director, Credit Cards and Loans Head for Citibank Thailand. Further, the Citi Prestige card uniquely rewards customers who have maintained relationships with Citi. The Prestige card offers annual Relationship Bonus Points, which is calculated based on the cardholder’s spending in the past year. The number of points earned grows based on the tenure of their relationship with Citi, and Citigold customers can earn points at an even better rate. Earn annual Relationship Bonus Points up to 5% calculated upon spending in the last 12 months. The number of points earned grows as your relationship with Citi does. Earn even more Citi Rewards Points at a preferential rate for Citigold customers. Enjoy unlimited access at over 700 airport lounges in 120 countries around the world through the Priority PassTM card. Complimentary one-way limousine transfer service to or from airports throughout Asia Pacific up to 2 times per year. Unlimited complimentary 4th night stay at any hotel in the world. A dedicated Citi Prestige Personal Assistant to cater for all our customers’ lifestyle needs, available 24 hours a day with worldwide expertise. Access to unique experiences and global events like personal shopping services. Tee off with complimentary green fees at any participating golf course up to three times per year. Birthday program: Enjoy extra Citi Rewards Points along with various other premium lifestyle and dining privileges. Year-round Hotel Dining Privileges: Exclusive dining privileges with leading hotels in Thailand which change every year. This year, enjoy 15% off dining at participating Starwood Hotels and Resorts. Enjoy dedicated parking privileges at leading malls and hotels in Thailand.